Living in the small southern town of Bristol, Tennessee at the age of 86, Robert Neelley Church takes deep pride in living an active life, especially as a cancer survivor. He surrounds himself with friends and family, exercises regularly, and even teaches Sunday School at his local church. But recently, Robert’s health began to trouble him. He developed chest pains and had difficulty breathing; putting a damper on his active lifestyle. After consulting with his primary care physician, Robert was referred to a cardiologist. After a few tests, Robert’s cardiologist diagnosed him with mild congestive heart failure (CHF). His aortic valve, was not working efficiently and was causing his heart muscle to thicken. After discussions with his physician and nurse, Robert chose to have open heart surgery. To ensure a safe and speedy recovery, Robert stayed with his daughter in North Carolina and received care support from a home health nurse. After surgery, Robert continued to experience persistent shortness of breath, even during mild physical exertion. He also realized that his medications were not helping reduce symptoms, such as fluid buildup and swelling, causing extreme discomfort when tying his shoelaces or getting up to answer the phone. A sudden worsening of symptoms almost sent Robert to the emergency room, but instead his family encouraged him to go to the Duke University Health System’s Same Day Access Heart Failure Clinic. While at the clinic, Robert met with his cardiologist, Dr. Zubin Eapen, and two nurses. Dr. Eapen spent time with Robert to help him understand his condition, and explained how additional treatments and behavior changes could help ease his symptoms. Dr. Eapen also made sure to schedule a follow up appointment. A few days after their visits, Robert and his family were happy to see that his condition improved. But to this day, Robert and his friends and family, play a significant role in managing and treating his condition. He relies on a loyal network of friends and family to bring him to his many doctor appointments and fill prescriptions. However, like the strong survivor he has always been, Robert continues to stay active in the Bristol community, and keep up with his friends and family. Robert’s story is just one, from the more than six millions Americans living with this debilitating and complex disease. However, the good news is that we know how to improve care and reduce costs for this condition and others like it: make the shift from providing high-intensity, expensive inpatient care to preventing, coordinating, and managing the illness in outpatient or primary care setting. While this sounds simple, implementation of these efforts requires significant financial resources, intense care coordination, the need for new technologies like electronic health records and clinical decision support tools, as well as team-based staffing models. Most importantly, it requires alternative payment models that incentivize proper disease management, care coordination, and other activities that are not currently reimbursed in a fee-for-service, volume-based payment system. This paper provides a comprehensive overview of the complex care associated with CHF, and alternate payment models to help support optimal care. What challenges or problems encouraged the organization to redesign CHF care? How did the organization align care innovations with payment reforms? What did the organization identify as key success factors and/or challenges? How did these changes impact the organization’s clinical outcomes or financial position? What lessons would the organization share with others attempting to implement similar strategies? Congestive Heart Failure: What Happens to the Body? The average human heart beats four million times per year and pumps enough blood to fill a modern oil supertanker during a lifetime. The heart is composed of striated cardiac muscle, and is supplied oxygen and nutrients by the coronary arteries. However, over time some individuals may experience damage to cardiac muscles for a variety of reasons, such as plaque buildup in the arteries, heart attacks, or infections. This damage can lead to an overall weakening of the heart’s ability to pump blood. If unable to adequately pump blood, fluid may build-up in the lungs, liver, and other vital organs. This condition is known as congestive heart failure (CHF). The onset of symptoms can be gradual yet destructive, causing consistent shortness of breath, weight gain, confusion, and exhaustion over just a few days or weeks. Some patients may also have sudden distress and need care immediately. They may receive treatment such as diuresis to reduce fluid overload or medications to strengthen their heart function. If a patient progresses to a more severe state, they may require the use of a ventricular assist device (VAD), a mechanical pump that’s used to support heart function and blood flow, or a heart transplant. These classifications are subjective and dependent on the physician’s diagnosis and the necessary medical care can rapidly change. Despite proper management of their condition, once a patient is classified they almost never revert to a less severe form. All of these factors directly impact vitality and quality of life for these patients. Patients with lower incomes, a longer history of CHF, multiple medications, and a higher New York Heart Association classification are at higher risk of experiencing depression and cognitive impairment.10 This unpredictable nature and variation in severity of symptoms significantly impacts the patient’s use of health care services, the intensity of their care, and can often contribute to higher readmission and mortality rates. Many CHF patients suffer from comorbidities, often adding to the intensity of their care and treatment. Studies have shown that nearly 40% of CHF patients have five or more non-cardiac health conditions, which account for 81% of the total CHF inpatient days.14 Patients may also be diagnosed with chronic obstructive pulmonary disease (COPD), renal dysfunction, cognitive dysfunction, obesity, diabetes, or depression. This added complexity has major implications for providers, patients, and their caregivers and families. Intuitively, the sheer complexity of CHF demands diligent follow up care and monitoring, as well as care coordination across multiple providers and sites of care. Despite significant advances in treatment and prevention, the total number of CHF patients has remained stable over time, with more than 550,000 new cases diagnosed annually. However, the CHF-vulnerable population will grow as the senior population continues to rapidly increase. Therefore, even if care becomes better and more efficient, CHF prevalence will likely continue to increase. As we later discuss in Part II, the clinical teams at Duke and Colorado recognized the opportunity to continuously improve CHF care. Although challenging to implement, their strategies are highly effective, and are the direct result of a culture of innovation and continuous quality improvement. As described in Figure 2, many clinical approaches to chronic disease management benefit from a three-pronged approach that addresses (1) patient behavior; (2) physician or practice-level clinical interventions; and (3) public policy or population health strategies. It is estimated that lifestyle choices and behavior account for 80 to 90% of cardiovascular disease diagnoses, including diet, exercise, substance abuse, and obesity.15 Behavioral health strategies can help address these risky lifestyles, treat and manage current conditions, and avoid occurrence or exacerbation of symptoms. For example, about 75% of patients with CHF have been previously diagnosed with hypertension, which can further strain the heart as it pumps blood harder.16,17 At Duke, physicians noticed considerable success with patient self-management when patients were introduced to a community of other CHF patients, where they could exchange common experiences. Working in partnership with patients and the care team, health care providers can have a significant impact on reducing CHF burden by introducing interventions that are most appropriate for the severity of the patient’s diseases. Most patients will experience care in a number of settings, including primary care, inpatient, and post-acute care. The key to successful disease management is providing the patient with a multi-disciplinary care team that accommodates the patient’s entire spectrum of care needs. The team may include a primary care physician, nurses, specialists, care coordinators, and even social workers or mental health professionals. By maximizing the skills of other team members, physicians can focus on developing an effective care plan and intervene as questions and complications arise. Oftentimes nurses, community health workers, patient navigators, or care coordinators can serve as a patient’s dedicated contact as they transition across care settings.26 These individuals also end up developing strong relationships with patients and may identify social factors (i.e., financial stability, access to transportation or employment) and other risk factors that hinder full recovery. For example, some providers encourage home visits to ensure that a patient’s home is safe or has ready access to transportation. Inpatient or Acute Care: Even if managed effectively, many CHF patients will likely require more serious care in an inpatient setting throughout their lifetime. In the event that patients do visit the hospital, there are a number of tools available to improve the care that they receive. For example, patients with Acute Decompensated Heart Failure (ADCHF) can be tracked in a national registry, ADHERE, which can help identify patients that require more intense care, and then suggest the best possible treatments.27 Other models have expanded on the data available in ADHERE, and made it even more effective at predicting readmission risk by including social factors.28 Many of these tools have been included in electronic health records (EHRs), such as standardized order sets and electronic alerts. Post-Acute Care: Approximately 24% of CHF patients are readmitted to the hospital within 30 days, with a high number of readmissions occurring soon after hospitalization (Fig 3).30 Improving care transitions would involve strategies such as a 72-hour follow up visit with a primary care provider, or connecting the patient with a case worker or care coordinator who is tasked with monitoring a patient’s post-discharge care. Public policy initiatives and population-based strategies can help create a healthier environment that can prevent disease or create an environment for healthy living. For example, national public policy efforts like the Food and Drug Administration’s (FDA) required calorie labeling helps consumers make more informed food choices; and First Lady Michelle Obama’s Let’s Move campaign helps promote healthy eating and exercise. Many cities and counties across the country are implementing public policies that reduce risk, including smoking bans in public places, construction of bike paths and greenways, and allowing families to use food stamps at local farmers markets. A readmission is defined as an admission to a hospital within 30 days of discharge from the same or another subsection hospital.37 Excess readmissions are calculated by dividing a hospital’s number of “predicted” 30-day readmissions for heart attack, heart failure, and pneumonia, by an “expected” count (based on an average hospital with similar patients). The number is then risk-adjusted for demographic characteristics and comorbidities. A ratio greater than one indicates excess readmissions, which could indicate poor quality of care or a lack of care coordination.38 If they exceeded the highest threshold, based on Medicare collections, Duke could face a $29 million penalty, and Colorado, $7 million. Figure 4 compares Duke and Colorado CHF readmission rates from July 2009 to June 2012. Neither was assessed a penalty. Lasting changes in CHF care require the proper economic incentives to support changes in delivery and services. Traditionally, providers are paid for each medical good and service they deliver, without regard for quality or outcomes. To support innovations in care and reduce Medicare costs, several alternative payment models such as bundled payments and shared savings should help drive and sustain Duke and Colorado’s programs. Several mandatory payment changes forced a shift in cardiac care delivery. In 2010, Medicare reduced the physician fee schedule for cardiology services by a projected 8% in 2010, and nearly 13% in 2013. From 2011-2013, Medicare reimbursements stayed relatively flat, and reductions in cardiology relative value units in testing, traditional fee-for-service cardiac care became less lucrative. Further, in October 2012, as a result of the Affordable Care Act, Medicare began “paying for performance” through the new Value-Based Purchasing (VBP) program. Although the impact on CHF care was relatively minor, it shifted attention toward the condition since it was one of four clinical conditions rewarded through the program. Ultimately, the strongest motivator for hospitals was likely the readmission penalty, which will increase to 3% of total Medicare billing by 2015, which could lead to millions of dollars in fines. In 2013 the Center for Medicare and Medicaid Innovation (CMMI), allowed enrollment into at least two optional programs: the Bundled Payment for Care Improvement Initiative (BPCI) and the Medicare ACO Shared Savings Program (MSSP). Both Duke and Colorado were interested in linking clinical innovations to value-based payment reforms that reward quality, outcomes, and reducing inefficiencies. This alignment of care delivery and payment models helped move both organizations toward a culture of high-performance and innovation. Participants chose from four models based on payment structure, provider types, and services (Fig 6). Large hospital systems such as Duke and Colorado could only choose between model 2 and 4 because model 1 excluded inpatient physician services, and model 3 is restricted to post-discharge services. Under model 2 all providers continue to receive fee- for-service payments at standard reimbursement rates directly from Medicare. After the episode concludes, Medicare goes back and calculates the total costs and compares that to the pre-established bundle price. If lower, the provider gets the difference; if higher, the provider must pay back the difference. In model 4, the hospital would receive a single, lump sum payment from Medicare and then distribute that payment among all of the providers involved in the episode of care—and if their costs exceed the budget, the provider must absorb the extra. According the American Association of Medical Colleges (AAMC), models 2 and 3 may be more attractive to hospital systems because costly infrastructure is not needed to collect and distribute bundled payments, and providers’ revenue cycles are not affected.46 A key difference between the two models is the inclusion of post-acute care in model 2, which is riskier since hospitals are accountable for care they cannot always control. However, model 2 also offers the chance for much more savings. As part of the BPCI, CMS employed conveners to support institutions through these programs and evaluate their choices. For both Duke and Colorado, the AAMC provided learning community support, data analysis, information sharing, networking with other academic medical centers, educational modules focusing on different aspects of care redesign, policy clarifications, and other administrative and technical support. Along with data analysis support from Brandeis University, Duke and Colorado were equipped with support to help make their payment model decision. Medicare currently has two different ACO programs in place. In the Medicare Shared Savings Program, which now numbers over 340 participants across the country, organizations can choose to assume “one-sided” or “two-sided” risk. One-sided model ACOs are allowed to share in up to 50% of savings in excess of the designated minimum savings rate, whereas two-sided model ACOs share in 60% of savings generated, but are also required to pay back 60% of losses in excess of the minimum loss rate. Participants must also report various specific quality measures. While the two-sided model has the potential for great rewards, the large majority of Medicare ACO Shared Savings Programs (MSSPs) participants are not prepared to assume the risk of losses and have opted for the one-sided model. All 23 Pioneer ACOs, a smaller Medicare program for more experienced provider organizations, are considered “two-sided” risk. Commercial payers, including all of the major health plans across the country use similar shared savings models in their ACOs. Building on many of the best practices laid out in Part 1 and having the economic incentives in place to pay for care differently, the clinical and administrative teams at Duke and Colorado made significant efforts to improve care for patients with CHF. First, in comparing the two organizations we find a number of distinguishing factors that helped influence their approach to care redesign and payment reform. Both institutions are profiled more closely to examine their care redesign efforts and their implementation of alternative payment models. Below in Figures 7 and 8, key metrics help compare the organizations, particularly in regards to operating revenue, patient population, payer mix, and CHF prevalence. For example, Duke has much higher revenues than Colorado based on size and service area, despite having a less favorable payer mix from Medicare and Medicaid. This was a key consideration when deciding how to implement new payment models. The organization with the higher margin may be more inclined to be more conservative, since they may have more to lose when taking on greater risk. The patient population at Duke and Colorado impact the prevalence of CHF within their catchment area. On average, the Duke population is slightly older (13.8% versus 11.8% over 65); is more likely to be living in poverty (16.8% versus 12.9% are below the poverty line); and has a higher African American population (22% versus 4.3%). In addition, while Colorado has a higher white population (69.6% versus 64.7%); it also has a higher Hispanic population (21% versus 8.7%). As described above, factors such as age, socioeconomic status, and race/ ethnicity are strong CHF risk factors. Overall, the organizations took similar paths to care delivery reform, but took different approaches to payment reform. Overall, both aimed to improve the care for CHF patients by preventing the development of CHF; managing and treating effectively to slow progression; and stabilizing the condition to avoiding hospitalizations and readmissions. Duke University Health System is an academic health care system comprised of Duke University School of Medicine, three hospitals, and several primary and specialty care clinics, home care, hospice, wellness centers, and community-based clinical partnerships.55 Although Duke physicians practice in a hospital setting, most are employed by Private Diagnostics Clinic.56 Duke leadership includes Victor J. Dzau, MD, Chancellor for Health Affairs and CEO for the Duke University Health System; Christopher O’Connor, MD, Chief of the Division of Cardiology and Director of Duke Heart Center; Dr. George Cheely, Medical Director for Care Redesign; Dr. Bimal Shah, Director of Quality Improvement for the Department of Medicine; and Dr. Zubin Eapen, Medical Director of the Duke Heart Failure Same Day Access Clinic. The Challenge of Care Redesign: As Dr. Christopher O’Connor reflected on what care used to look like in the late 1990s, he described the frustration his team faced when trying to provide quality CHF care. Poor coordination of care: CHF patients saw six or seven different providers for various services, and they often failed to communicate with each other. Only the patient was aware of all the appointments and tests, and was burdened with keeping everything organized. Further, since EHRs were not available at the time, providers mostly relied on fax or telephone communication. CHF patients were scattered throughout different units; there was a lack of primary care expertise related to CHF patients; inconsistent attending cardiology staffing for CHF patients; and poor communication between specialists. Inconsistent access to outpatient or primary care: CHF patients regularly went without outpatient care, bouncing from one inpatient admission to the next. Patients were unsure of who to contact with questions or concerns, and did not always have access to providers at the exact time they required care. This fragmentation almost always resulted in unnecessary emergency room or hospital visits. Inadequate disease information and guidelines: At the time, there was very little information about CHF disease management. Neither the ACC nor the AMA had issued CHF treatment guidelines. Prior to 2000, Duke did not have physicians focused exclusively on CHF treatment or disease management. For example, doctors in the catheterization lab might occasionally staff an outpatient clinic, leading to inadequate transitions. The frequent turnover of providers also contributed to unstable and episodic patient care. This case describes three major CHF initiatives that evolved over almost 15 years, including the Duke Heart Failure Program, the Heart@Home Initiative, and Same Day Access Clinic. Dr. O’Connor requested a grant from then president and CEO of DUHS, Ralph Snyderman, M.D., to create the Duke Heart Failure Program. The program would help incorporate concepts from disease management programs and funded several new staff positions, including nurse practitioners and administrative staff, with the goal of reducing inpatient costs. Funding: The SDA clinic is part of the cardiology clinical service line and the financial model is based on the 30-day readmission penalty. As a result of Duke’s high revenues, they had some flexibility to be able to take risks and operate the SDA clinic from other clinical revenue, such as acute care (for example, cardiac surgery). Most patients are insured through Medicare, Medicaid, DukeSelect (Duke employees self-insurance plan), or BlueCross BlueShield. Patients do pay a co-pay, although these are lower than other settings to encourage patients to seek care in the clinic instead of more costly settings such as the ED. Visits are billed on a FFS scale. Further, the operating costs are lower as a result of the clinic’s nurse practitioner-led model, which is less expensive than physicians and a sustainable point of contact to address the social issues a!ecting the health outcomes of their patients (e.g. transportation, health literacy, poverty, homelessness). Despite the fact that the program proved successful at reducing costs, there was no change in their contracts with payers. The effort continued to be funded entirely through the general cardiology department budget, even though payers were saving money. In 2011, Dr. Eapen became involved in the CHF program leadership, and redoubled delivery reform efforts after Medicare instituted the Hospital Readmission Reduction Program in 2012. Duke realized that further efforts were needed to ensure the prevention of readmission rates that could trigger the Medicare readmission penalty. This penalty provided a strong incentive for Duke to support work on care transitions for patients with heart failure, resulting in the creation of “Heart@Home” (H@H). H@H is a quality improvement effort that sought to evaluate the current state of heart failure care and identify areas for improvement. The program helped secure buy-in from a variety of stakeholders to tie the financial success of the system to the success of caring for the patient. To become self-sustaining they determined that preventing 1 readmission every 2 weeks would result in a 1% reduction in total CHF case costs. This was calculated by determining the amount at risk due to the 3% Medicare Readmission penalty (nearly $30 million a year). The H@H financing model covers the costs of the program intervention and administration, with savings accruing to the payers. (Note: The total amount of savings is unknown at the time of publication). In 2012, with encouragement from Duke Heart Center leadership, providers including Dr. Bimal Shah, Catherine McCarver, and others, partnered with the Duke Translational Nursing Institute (DTNI) and Dr. Bradi Granger to obtain grant funding that supported a partnership between the Duke Heart Center, Durham Health Department, Duke Home Health, Community Family Medicine practice, and skilled nursing facilities to concentrate and organize all of its CHF efforts under a single initiative. With grant support they were able to hire an additional full time and one part time nurse. The nurses managed a caseload of approximately 1,200 CHF discharges a year. The primary outcome of the H@H program included reducing preventable readmissions and the ability to segment by risk categories. As a result of concurrent interventions taking place at the same time, H@H takes an experimental approach to evaluate the consolidated effects of all the various improvements. Duke researchers analyzed an AHA registry of thousands of Medicare patients, and found that seeing a doctor within seven days of a hospitalization significantly reduced the risk of readmission, emphasizing the need to improve post-discharge care. The leadership decided to launch a Same Day Access (SDA) Heart Failure clinic that would allow patients to see a CHF specialist immediately without an appointment. The SDA clinic opened in 2012 and is located in the cardiology outpatient offices. The SDA clinic is open Monday through Friday and is staffed by Dr. Zubin Eapen, two NPs, Dr. Karol Harshaw-Ellis and Dr. Midge Bowers, and one RN, Ms. Martha Anders. This “one-stop shop” provides consistency of care, ensures proper transitions, and assists with navigating the health system and managing comorbidities. The goal of the SDA clinic is to avoid preventable admissions to the emergency room and hospital by providing acute care outside of the hospital. Same-day referrals are initiated by patients directly, or through their primary care or emergency medicine provider. Through EHRs, all outpatient providers at Duke can book the patient a same-day appointment in the SDA clinic. The order is routed to the clinic’s front desk or cardiology’s scheduling hub to expedite booking for urgent appointments. Located on the Duke campus, the clinic is accessible by public transportation or providers can arrange for curbside transportation. The SDA clinic offers several interventions to avoid hospitalization. First, intravenous diuretics can be given to reduce excessive fluid load, improving patient’s ability to breathe. Second, daily follow up can be arranged for repeated intravenous diuretics or medication titration to ensure that patient remains stable. Third, clinic staff members ensure that patients have access to all appropriate medications at the correct doses, and build longitudinal relationships. Finally, they can assist with ancillary services, such as social work referral, transportation problems, or substance abuse counseling. A recent Duke study, CHF Intervention for Medication Adherence and Meaning Evaluation (CHIME), was designed to learn why patients skip their medications, and test whether a nursing intervention could improve compliance. With coaching from the nurses at three, six, and one year, patients in the intervention were tutured about managing their symptoms, taking their pills on schedule, and developing an action plan for addressing their symptoms that focused on seeking care outside of the emergency room. Patients who received the intervention were four times as likely to adhere to their medication regimens.64 However, readmission were not significantly different between the two groups. Day to day care is led by the two nurse practitioners. They see about 12 patients a day and maintain a panel of approximately 1,000 patients. Follow up meetings are held with the entire clinic outpatient team including Dr. Eapen, Martha Anders, and other administrators, and data analysts. EHRs are utilized to generate letters with updated medication lists, problem lists, and treatment plans. The EHR enables communication between SDA providers and the patients’ provider via electronic letters and secure emails. For providers outside Duke, these messages can be faxed. The nurse clinician also updates primary care providers on problems that require co-management (e.g. anticoagulation for atrial fibrillation). A dashboard of the common SDA population was created to allow the team to see their current status and note when their last visit occurred. The nurse updates this list with new patients and ensures patients are not lost in the transition between the clinic and their primary care provider. For high-risk patients, the SDA clinic aims to make the first follow-up appointment within three days. During this appointment a nurse ensures clinical stability, performs thorough medication reconciliation, and addresses any patient concerns. The program resulted in a decrease of preventable hospital readmissions compared to baseline and the previous 12 months of data. As a result of the efforts of H@H, which includes the SDA clinic, preventable CHF readmission rates at Duke have gone down 15% in the first year of the initiative.65 Secondary clinical outcomes include improved quality of patient care transitions, patient satisfaction, and skill-based educational outcomes. The clinicians also believe the SDA clinic reduces preventable index admissions. Approximate financial impacts are unknown at the time of publication, but presumably measurable savings are accruing to payers as a result of the decrease in admissions. Duke’s physician leadership was committed to improving CHF delivery and had interest in exploring new payment models. Ultimately, after weighing the risks and opportunities of the BPCI and MSSP models, the Duke care redesign team and senior leaders chose to enroll in MSSP. Launched in January 2014, Duke Connected Care66 is a community-based, physician-led MSSP that includes 1,700 doctors from Duke, Lincoln Community Health Center, and three other practices to care for a population of over 45,000 Medicare beneficiaries. Duke Connected Care’s participation in the MSSP began on January 1, 2014. Dr. Devdutta G. Sangvai saw that it was useful to manage patient health care inside and outside of the doctor’s office, nursing home, or hospital.67 This experience will help build knowledge and best practices for integrating CHF care redesign into Duke’s long-term strategy. Duke decided to enroll in MSSP for several reasons. First, they were interested in gaining experience in managing post-acute care, a major source of cost variation. MSSP creates strong incentives to minimize costs outside typical 30-90 day bundles. Duke felt this would encourage long-term structural changes in their care. Second, they were interested in looking at a broad strategic focus on population-based health. MSSP incentivizes providers to take a more global look at the care provided to the whole patient, and the institution’s vision was to focus strongly on enhanced primary care. Duke’s leadership believed this was a better step towards reform than more incremental changes achieved through the BPCI. 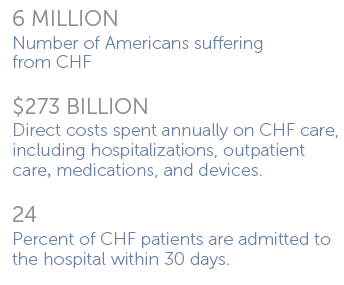 Third, they already had low baseline costs of CHF care. Because Duke’s existing CHF costs were low, they felt the margin collected from a short term bundle would be small and not generate substantial savings. In addition, many patients who survive longer with CHF may ultimately require ventricular assist devices or heart transplants, which are high cost, complex procedural services, which could generate higher margins than a CHF bundle. Such procedures might create a strong business incentive for better CHF care, because the destination care for patients that are living longer might include VAD and transplant surgeries. The loss in revenue from decrease in admissions from CHF may have only small off-setting impact in comparison to highly procedural volumes. For example, in FY2011, Duke discharged 382 Medicare patients with an average reimbursement of approximately $12,000. Even 20% relative reduction in admission amounts to only 17 fewer discharges per year or about $200,000 loss of Medicare revenue per year. In addition to the ACO MSSP, Duke did enroll in one BPCI pilot: percutaneous cardiac intervention (a procedure used to treat narrowed arteries in a patient’s heart, known as PCI). This was a way of getting some experience in the bundled payment approach. Duke’s leadership believed that a variety of complicating factors in its patient population could make any bundle too risky. One of the greatest strengths of a bundle is to provide predictability and standardization of care and costs. Due to the complexity of CHF, patient care is not a “one size fits all” approach. Further, CHF is not an isolated acute care episode with a clear beginning and end that lends itself to developing a fixed payment per episode. Unlike a bundle that is procedure-oriented with a well-defined start and end point, the chronic nature of CHF as a disease made an index hospitalization less appealing as a trigger for a bundled payment. Duke was also unsure if the BPCI’s required 30, 60, or 90-day bundle would be appropriate for CHF because they hoped to focus on care strategies, such as Heart@Home, that went beyond these time periods to determine the stability of a discharged CHF patient. Financial Unknowns: Due to the variety of unknown factors involved, Duke took a conservative approach to exploring the BPCI. Known CHF costs were indexed in the inpatient setting, yet, a large portion of costs and care took place in outpatient settings. Such longitudinal, post-acute care is often performed in rehabilitation centers, community health centers, and skilled nursing facilities where Duke doesn’t have control over care and costs. Duke believed it would be more appropriate to accept financial risks when there was a greater understanding of all the variables, but also chose to develop experience via the PCI bundle. Duke is generally economically sound and did not have enough data to reasonably pursue payment changes with unknown risks. They proceeded with H@H and SDA clinic initiatives from general clinical revenues. In addition, Duke’s participation in MSSP may, in the long term, lead to investment in enhanced primary care services, futher delivery reform, and cost reductions through prevention, and reduced hospitalizations and readmissions. The University of Colorado Hospital is an academic medical center composed of four campuses and five hospitals across the state based in Aurora, CO. The three major components of the system are the hospitals, the School of Medicine, and United Physicians Inc. (UPI), a nonprofit organization that supports the medical operations of Colorado. The system’s CEO is William A Neff, MD and governed by a board of directors that oversee the alignment of the different entities. Elizabeth Kissick, the director of health plan development for UPI and Dr. Larry Allen, a professor and cardiologist have been administrative and clinical leaders in the push toward care and payment redesign, especially for the CHF population. In FY 2012, the Colorado system reported annual operating revenue of $941 million dollars. In FY 2011, 46% of Colorado’s patient revenue came from managed care contracts.69 Medicare makes up the second largest portion of revenue at 25%, with Medicaid patients accounting for 10% of revenue. Colorado’s spending per Medicare patient is close to the national average at 0.95.70 Below is a summary of Colorado’s 205 Medicare inpatients, which cost more than Duke’s patients across each category. The American College of Cardiology and Institute for Healthcare Improvement started the national “Hospital to Home”, or H2H program. This program is a resource for hospitals and cardiovascular providers committed to improving transitions from hospital to “home” and reduce their risk of readmission penalties.71 Dr. Larry Allen, an advanced CHF and transplant physician, with encouragement from his research mentor and national H2H co-chair, Dr. John Rumsfeld and support from the administration, identified a need at his own hospital, and started a Colorado-based H2H in 2010. Their mission is to refine the management of CHF and reduce the historically high rate of heart failure readmissions. The Colorado H2H, led by Dr. Allen as the program’s Medical Director, has two dozen team members including physicians, nurses, educators, pharmacists, quality improvement specialists, database analysts, informatics experts, and administrative leaders. The multi-disciplinary task force meets monthly and reports to the Cardiovascular and Hospital Quality and Safety departments and the Colorado Board of Directors. Like Duke, Colorado has re-engineered its care of CHF, but with a specific focus on using technological innovation to reduce length of hospital stays and readmissions. Figure 11 summarizes the timeline and care innovations implemented at Colorado, and accelerated after BPCI adoption. Effective management of high-risk patients: Using an EHR, an algorithm was developed and real-time surveillance program was piloted that identified high-risk patients that combined medication prescribing and patient biometric data.72 When the program identifies a high-risk CHF patient, the algorithm triggers a set of Best Practice Advisories (BPAs), prompts the provider to prescribe specific order sets and notify a clinical practice specialist. Figure 12 shows an example of the BPA, an alert that prompts hyperlinked order sets during a patient encounter. A BPA is also triggered when a patient presents with a CHF ICD-9 code (the coding system used by providers to classify diseases for health management and reimbursement); a blood BNP level greater than 150 pg/ml (B-type natriuretic peptide levels, or BNP, increase when cardiac function worsens); or IV loop diuretic during the current encounter in the inpatient unit or emergency department. The above graphic shows how a BPA appears to an admitting provider, suggesting the use of the CHF specific admission order set. Examples of admit and discharge order sets are in Appendix C and Appendix D.
The clinical team also knew it was critical to track overall numbers of patient hospitalizations and emergency room visits. Patient utilization is tracked monthly to support the care team’s disease management, patient education and discharge planning efforts. Using this data, the care team can identify patients admitted or discharged with a heart failure diagnosis and whether providers gave appropriate treatment. Colorado also routinely analyzes quality data on CHF patients using the Get With the Guidelines (GWTG) program.73 Process measures (e.g. left ventricle ejection fraction [LVEF] imaging, ACE Inhibitors for CHF with reduced ejection fraction [CHFrEH], education) and outcomes measures (e.g. readmission, mortality) are tracked. 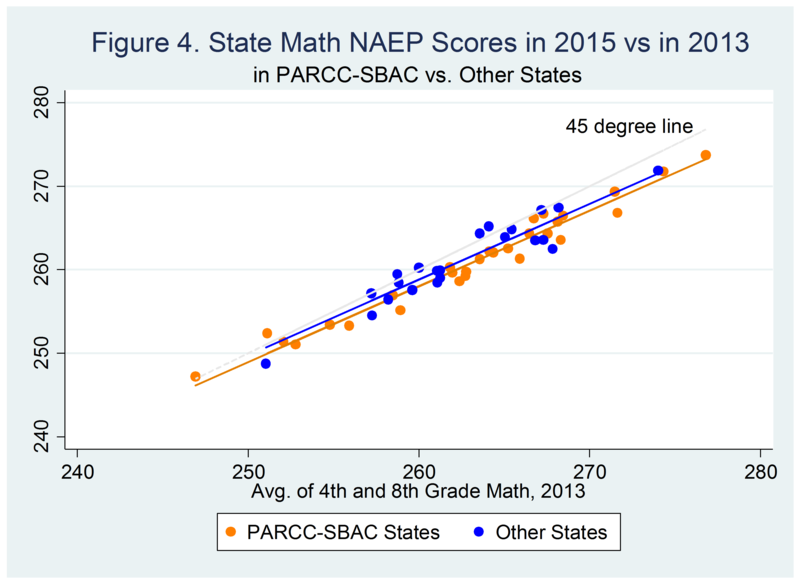 These data are benchmarked against national standards, reviewed at monthly H2H task force meetings, and then used the data to guide interventions that improve quality. A participation dashboard will be developed to track performance with the CHF practice redesign elements and quality measurements. An example of Colorado quality measures are included in Appendix B. A culture of learning and education: Colorado emphasizes care team training to ensure that high-risk patients are closely monitored, and their disease is effectively managed once they leave the hospital. For example, patients receive care coordination and other patient support with a clinical nurse specialist. Colorado’s nurses also receive mandatory online CHF training through HealthStream, and complete in-service training. In addition nurses from floors with numerous CHF patients attend the monthly H2H meetings. Colorado also emphasizes patient education because of its documented positive impact on medication adherence, self-management, their ability to identify problems and complications, as well as improving overall outcomes.76 For example, patients receive disease management educational materials, as well as free scales and blood pressure cuffs for home use. Further, a patient engagement form is given to patients to explain the bundled payment program. This form explains the focus on care coordination and outlines some steps patients are expected to take to become an active participant in their care. Elizabeth Kissick, Director of Health Plan Development at University Physicians, Inc. (UPI), a non-profit that supports all medical services operations, such as billing, for the clinical practice at Colorado met with the AAMC in 2010. She was impressed with the BPCI opportunity and thought it might be a good fit at Colorado. Ms. Kissick then connected with Dr. Allen, to lead the clinical innovations and care redesign while UPI focused on the financials. The team at Colorado prepared an environmental analysis of payment reform and was engaged in a number of Colorado state initiatives for state-wide bundling in Medicaid and the private sector. Physicians such as Dr. Allen, along with support from those like Ms. Kissick from the hospital administration, felt that bundled payments are part of the future for several reasons. They were excited by the opportunity to redefine optimal care around a common condition that crosses many silos and engages a number of providers. Colorado viewed the model as an expansion of the ACE Demonstration model- this familiarity with the payment model and evidence of cost savings helped minimize risk. UPI was able to leverage this momentum and leadership to move forward with the BPCI. Despite not anticipating revenue generation through the BPCI, Colorado thought CHF to be a viable option for conditions to treat in a reformed payment structure. They were committed to a small, controlled experiment as a way to learn about bundled payments. Model Selection: Colorado selected model 4 which went into effect on January 1, 2014. Under this model, the hospital would receive a single, lump sum payment from Medicare and then distribute that payment among all of the providers involved in the episode of care—and if their costs exceed the budget, Colorado would absorb the extra costs. Colorado never considered implementing more than one bundle, and from the start, had been interested in CHF. Colorado is the outlier in choosing model 4 and a 30-day bundle. When compared to fellow BPCI participants, (see Figure 13), 116 institutions implemented a CHF bundle, with Colorado being the only institution to opt for model 4; 68% chose model 3 and a 87% chose a 90-day bundle. BPCI model 2 includes three risk tracks (reconciliation tracks) from which the participant can choose 99th, 95th, or 75th percentile of costs using national bundle benchmarks. The awardees bear 100% of the risk up to the risk track threshold, and 20% of payments above the threshold for a given risk track. These tracks may be changed quarterly.79 BPCI model 4 does not use risk tracks, but makes hospitals financially responsible for services provided during a readmission. For example, CMS would not pay claims for CHF related services provided at Colorado within 30 days of the anchor hospitalization. In addition, for any CHF-related services provided at another hospital, Colorado would be financially responsible for the total payments made during that readmission.80 This is a substantial financial risk for model 4 hospitals to take on. However, Colorado felt that model 4 provided a lower risk because it allows hospitals to assume risk for acute care services, while they prepare for the risks of post-acute care services and hospital readmissions. It also sets the stage to work toward a fixed budget with the prospective payments — something they believed would become more common in other diagnoses.81 It is important to note that Colorado only projected an approximate $40,000 savings in the first year of the BPCI.82 This amount would cover the discount to CMS and the investment made with AAMC for data discovery, costs associated with the application preparation, and other costs. Hence, the $40,000 was the break even amount. This small amount relative to overall Colorado revenue, illustrating Colorado’s interest in this experiment mostly as a learning opportunity. Colorado customized the bundle and gain-sharing structure that would accommodate their provider expertise, interest, service mix, and patient population. With help from AAMC, the physician leadership proposed which Medicare services were included and excluded in the bundle. Colorado estimated that there would be about 100 Medicare patients who would be discharged with primary diagnosis of CHF (based on prior data). These patients must be defined in real-time to be included in the pilot.83 A yearly updated risk adjustment and target bundle price was proposed. There were a number of factors present at both institutions that were critical to the success of their projects that may be helpful for other organizations interested in implementing these clinical and financial reforms. Developing fundamental experience in payment reform may serve as a scaffold for more ambitious future efforts. Undertaking payment reform is a long and difficult process. The implementation of these payment models did not result in immediate changes in day to day care. However, innovations such as the SDA clinic and BPAs help to refine the care delivery patterns and use data to drive decision making. Clinical care is improved through evidence based protocols and interventions and the availability of complementary services. A commitment to continuous improvement in large centers can flourish in the presence of initially small financial incentives. It is important to note that while Duke and Colorado chose different payment strategies, both organizations achieved significant care redesign in advance of their shifts toward bundled payments or an ACO model. Both made significant steps to improve care even in areas where significant financial gains were not expected For example, the upside for Colorado was less than $40,000 per year. Such efforts will be ideally sustained by timely access to quality and outcomes via data reporting requirements. 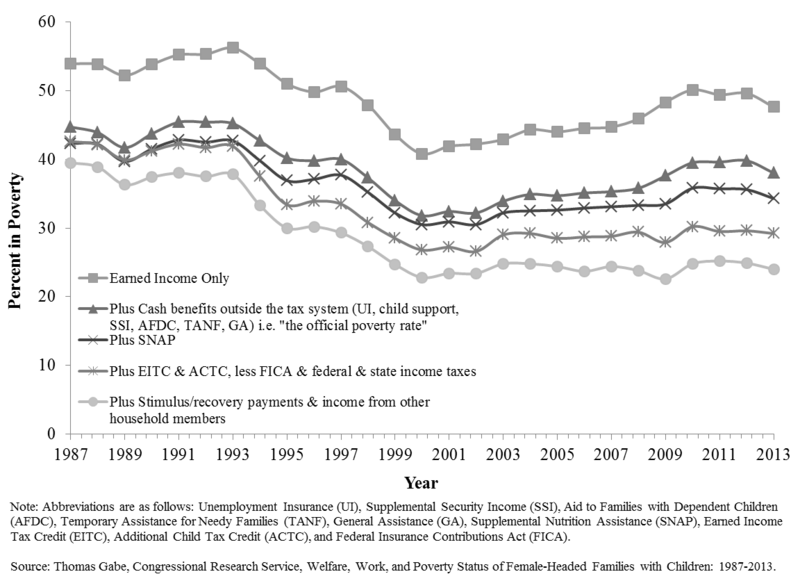 However, we recognize that existing payment reforms did little to accelerate or seriously drive change. In fact. most of the redesign efforts emerged from the clinical leaders and institutions prior to payment reform efforts. Impact of “demand destruction” on financial risk-taking. Improvements and incentives for care coordination, chronic disease management, and prevention will result in a higher volume of primary care and outpatient services, as opposed to more expensive cardiac procedures. As a result, hospitals must contend with “demand destruction” on their fee-for- service lines of business if they reduce procedures, admissions and emergency department visits. However, they may have lucrative procedural programs, such as VAD or transplants, to offset the loss. Without such programs, bundled payments may not be the best option at a particular time, if the organization cannot adapt their business model to accommodate this shift in revenue. Clinical leadership is essential to change management and quality improvement. Duke and Colorado were fortunate to have highly committed clinical leaders who envisioned and pursued innovative care. These leaders were charismatic and inclusive, and they encouraged buy-in among their peers. The clinician leadership at both organizations emphasized the importance of a multi-disciplinary team approach to foster buy in with a variety of skill sets — providers, administrators, financial leaders, and analytics and data management teams. The effect of top-down leadership is essential in supporting a commitment to continuous quality improvement and a culture of learning and innovation. Improve long-term incentives for clinical leaders. Though expert clinical leaders spent great time and effort on redesigning care, their institutional promotion (in academic centers) views production of research, grants, and publication as much more important than clinical redesign. As a result, over time, such innovators may “burn out” and not feel their important work is recognized for academic and institutional promotion. As a result, one key component of sustainability is for organizations to provide meaningful recognition for this leadership. The future of further care redesign is uncertain. While both organizations began with relatively small-scale, incremental pilot programs around CHF, it remains to be seen if this will lead to broader redesign of CHF care. The initial savings from payment reform comes from better managing supply chain costs, reducing internal waste, eliminating unnecessary duplication, and preventing complications. 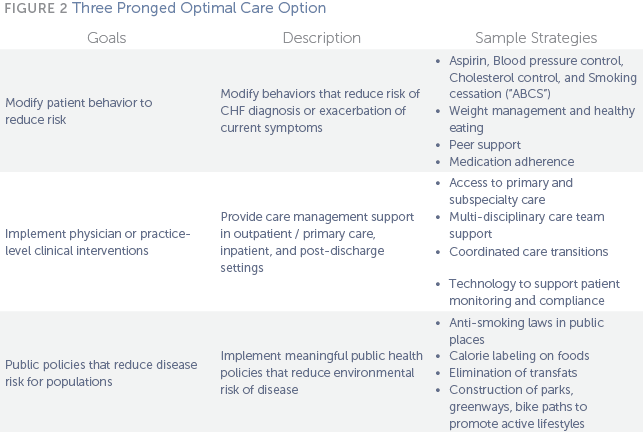 These are good first steps toward care redesign, but were “low-hanging fruit.” Though both centers demonstrated some effort to reform care beyond what was rewarded financially, only slight progress was made in terms of more broadly rethinking outpatient care services outside traditional boundaries, such moving to high-intensity “ambulatory intensive care” or comprehensive disease management programs. Strong connections to empower primary care doctors were not yet available. In addition, no major alterations to address post-acute care or long term care across various sites of care occurred. While such changes can be incentivized by shared savings ACOs or bundled payments, time will tell if the centers pursue more comprehensive, high-value changes in care. Rethink existing value-based purchasing and pay-for-performance programs. The 2010 Affordable Care Act established Medicare’s Value-Based Purchasing, which tied reimbursement to certain target quality measures, with particular emphasis on certain CHF measures. However, the clinical leaders at Duke and Colorado did not report that these initiatives encouraged the kind of global care redesign that might lead to improvement in meaningful long-term outcomes. Instead, the reporting requirements for the program can be seen as a separate burden, rather than part of an integrated plan, which dilutes clinician energy. Thus, a consolidation of the VBP program (that is, a program that rewards quality) into a broader payment reform model away from fee-for-service care might be beneficial. Consider new models of payment reforms that may better drive delivery reforms. While Duke and Colorado both undertook significant delivery reform efforts, their front- line changes were only minimally affected by economic incentives emerging from one condition-specific bundled payment or shared-savings alone. While starting small and piloting changes makes sense, uncertainty about their future is a barrier to sustained and larger efforts to reform health care delivery. Having more certainty from payers about how such pilots can and will be part of a more comprehensive set of payment reforms that could be scaled up over time. One might consider other packages of models, such as partial bundled payments, specialty medical homes (with non-FFS payments that could be applied to disease management or other care coordination), or combined primary care and specialty care models of care. Improve coordination and best-practice sharing between participating institutions. Though clinical leaders and hospitals each pursued innovations in care, hospitals appeared to work in isolation, without clear standardization or sharing of best practices. Colorado incorporated inpatient electronic “surveillance” of patients to identify those with CHF; Duke did not. So far, the CMMI pilot programs and CMS have provided few results regarding the impact of precise delivery changes in reforms like these. Even if Duke or Colorado are successful, their strategies are not transparent and obvious for adoption by other centers. Other centers embarking on clinical redesign would have to reinvent the processes.